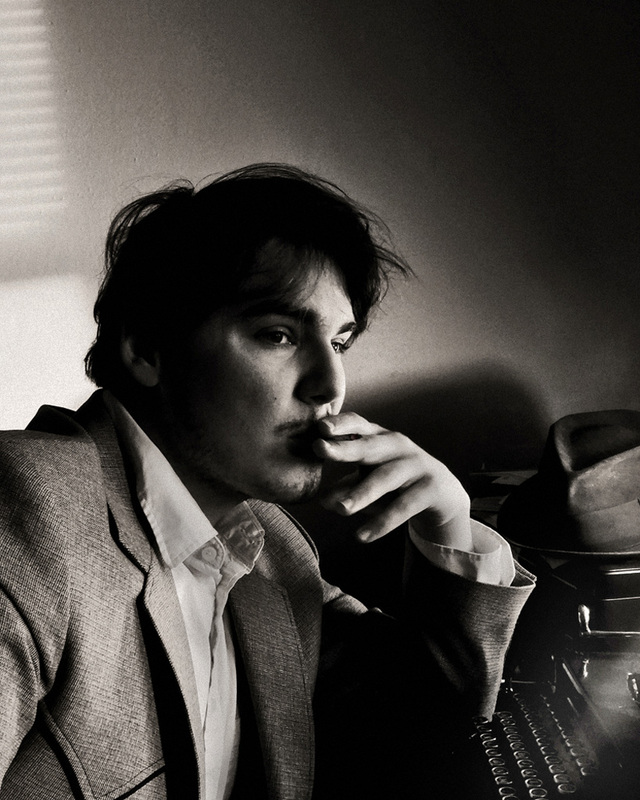 Our fiction editor for March/April is Eric Boyd who is working on his first short story collection, “Brownfields”. His writing has been published by Guernica, the Missouri Review, Cheap Pop, Brooklyn Vol 1, and Luna Luna magazine. He appeared in Akashic Books’ “Prison Noir” anthology, edited by Joyce Carol Oates, as well as Trinity University Press’ “Words Without Walls”, featuring work by Oates, Dorothy Allison, Dwayne Betts, and Tim O’Brien. Boyd is a winner of the PEN Prison Writing Award and has been nominated for the Pushcart Prize. In the summer of 2014 he was selected to attend the Tin House writing workshop. He is the editor of Rust Belt Chic’s upcoming Pittsburgh anthology; he is also an advising editor for tNY Press. Eric Boyd’s personal tumblr page is a ‘spotlighted’ blog on that website, highlighting his daily six word stories/poems, as well as longer works. I personally feel a lot of fiction these days is entirely too flowery and precious. It’s no surprise to me that documents recently came out saying that the CIA helped abstract artists like Jackson Pollack in order to distract society from real-world problems. I believe that writing should attack those problems head-on. Good writing ought to be the dirt scraped from the bottom of a shoe: the accumulation of a hard day, a hard life. With that in mind, I’ve been reading a lot of Erskine Caldwell, a man who was once one of the world’s most popular authors. He wrote “God’s Little Acre” and “Tobacco Road”, among many others. His work focused on social problems of the American South—racial, economical, etc—from the 1930’s on. This was a time when the South wasn’t often written about often unless it fit the romanticism of works like “Gone With the Wind”. Caldwell’s version of Southerns was accused of mean-spirited parody early on, but his portraits of tenant farmers and generally poor, working-class folks was still stark and bold. His work was often sexually-charged and censored quite a lot, even when he sold millions of copies. However, above all else, his work was very human, very funny. He was unafraid to have his characters be imperfect; they often did stupid things for stupid reasons, and always it was conveyed in plain language. Even by the 1950’s, as his work dipped deeper into the world of dimestore pulp, his commitment to common people was admirable. So, at any rate, that’s the kind of writing I’m hoping to see while editing The James Franco Review: purely human work—simple and beautiful in its unadorned nature—which addresses everyday life in an honest way, from voices that aren’t heard enough. Submit your short fiction to him here. Tags: Eric Boyd, Erskine Caldwell, fiction, PEN Prison Writing Award. Bookmark the permalink.